We are into offering a range of superior quality Metal Inserts to the clients worldwide. 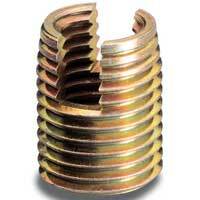 Our company has taken the leading position in providing the best possible Metal Inserts available in the market. This range of Metal Inserts is put through rigorous quality control checks to make it superior to other similar products available in the market. The Metal Inserts are superbly fabricated to fit the criteria dictated by the industry demands and is offered at affordable rates. 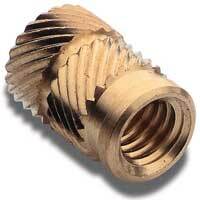 We are instrumental in providing clients with high quality Press in Brass Inserts. 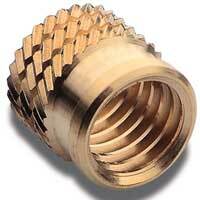 The Press in Brass Inserts are high on demand among the clients for its superior performance. Our range of Press in Brass Inserts is tested on various parameters by our experts in order to offer the clients with the best. We bring forth a wide range of Ultrasonic Brass Inserts for plastic components. The Ultrasonic Brass Inserts are available in sizes ranging from M2 to M10 for all types of plastics, especially Thermoplastics. Customers can be eased with the affordable rates of the Ultrasonic Brass Inserts.